Ultraframe, the market leading conservatory roofing systems designer and manufacturer is celebrating its Silver Anniversary of 25 years in business. Over one million conservatories featuring an Ultraframe roof have been installed and are performing day in day out, across the UK since the company first started trading from humble premises in the Ribble Valley in 1983. 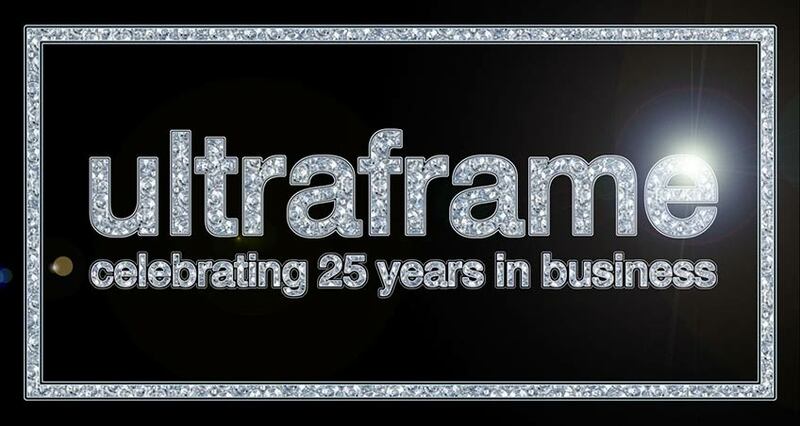 25 years later and innovation is still at the heart of Ultraframe, one of the industries most respected and well known companies. The original ethos of the company was a commitment to constantly reviewing and refining its portfolio, and ensuring that its products were the most technologically advanced on the market. This still remains today, with the Ultraframe R&D team being renowned for their forward thinking and ability to push the boundaries of conservatory design. This has led to Ultraframe claiming many of the ‘industry firsts’ over the last 25 years, including the first conservatory roofing system to gain BBA approval, the first roof (Uzone) to have BBA approval at launch and many product innovations that have been instrumental in Ultraframe maintaining its position at the forefront of the industry. Advances in such technology over the years have allowed Ultraframe to design conservatory roofing systems which are suitable for year-round use. The fitter’s favourite – Classic – is still being refined and bettered to this day, allowing homeowners to add a valuable and flexible new living space to their homes. Whilst many of the innovative features of the roofing system relate to structural matters, the team also closely watch consumer trends to ensure Ultraframe conservatory systems are not only structurally sound, but are also a beautiful addition to any home. The Ultraframe Orangery and the Super Duty Eaves Beam are two of the latest products to go to market, and are already tempting discerning homeowners. The Orangery is a new take on the traditional Orangery style conservatory, brought up to date with the very latest technology from Ultraframe, whilst the Super Duty Eaves Beam provides a structural solution for conservatories featuring the increasingly popular bi-fold doors. Mark Hanson continued: “The launch of these 2 latest products are a great way to celebrate our 25 years in business as the innovative and unique technology employed is the epitome of what the Ultraframe brand has grown to represent over the last 25 years. As we all know, times are tough right now, possibly the hardest times our industry has ever seen and we have seen many casualties as a result. However, this makes new product development more essential than ever before, as we believe that only the most innovative, agile and leanest companies will survive. To equip Ultraframe for the future, it has been necessary to streamline the business and reduce headcount. Following on from this process, we believe the business will be in a position to focus on developing the products of the future. This will be essential to Ultraframe’s success and that of our customers”. Specifically to facilitate this future product development, a division has been established within Ultraframe consisting of a talented team of design technicians. Their mission is to focus on the development of brand new products, and innovative solutions to home improvement needs, in order to strengthen Ultraframe’s position as market leader. For further details about Ultraframe’s extensive range of market leading conservatory roofing systems, including the new Orangery visit www.ultraframe.com or call 01200 443311 to speak to a member of the team, or find your nearest Team Ultraframe Fabricator.